When we rip the wild Kaimanawa from their home and pile them into the stockyards, we’re taking away their freedom and throwing them in a prison. My philosophy is to return them to freedom as soon as I can. 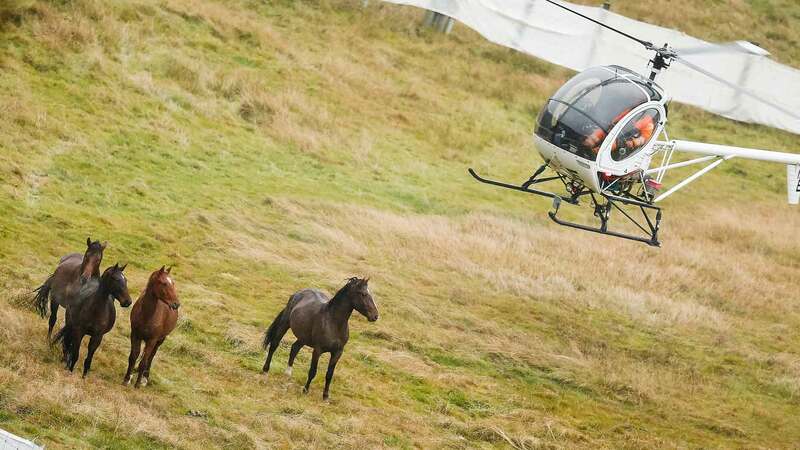 The Kaimanawa horses are the wild horses of New Zealand. They hail from the Kaimanawa Ranges in the central plateau of the North Island. 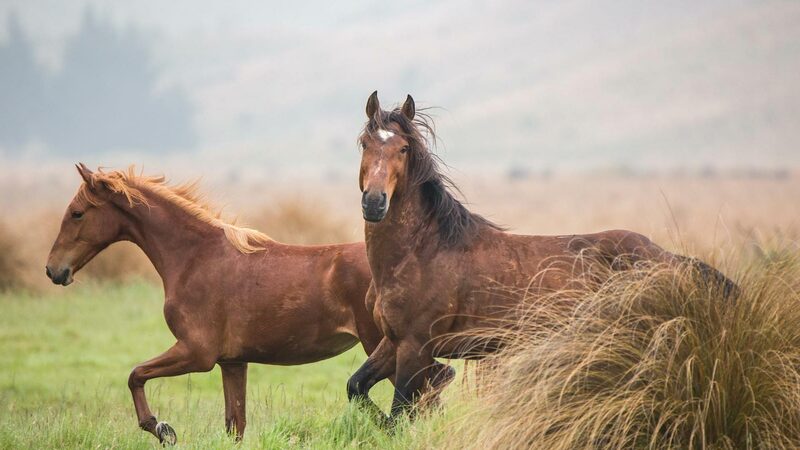 The Ranges are home to several endangered species of plants, and it is for this reason that the New Zealand Government has carried out biannual roundups since 1993, in an effort to control herd numbers and keep the Kaimanawa horses at optimum health. My journey with these amazing wild horses started in 2012. 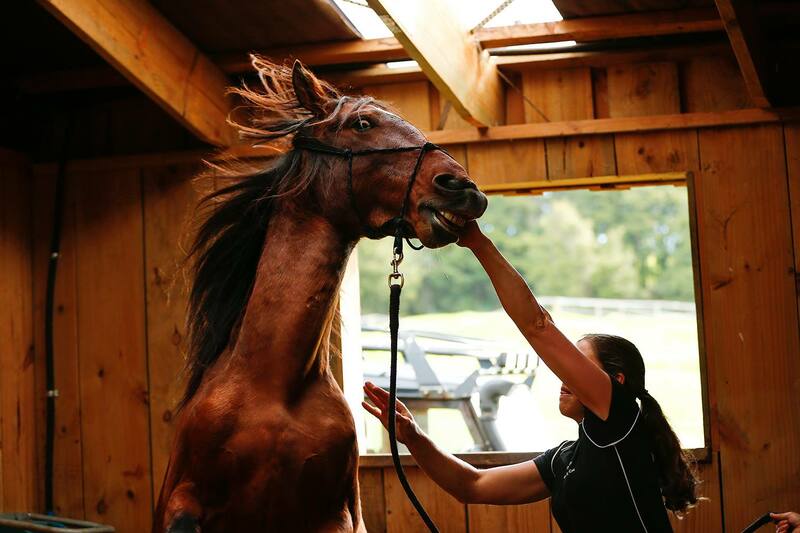 ‘Watch me Move’ was a Kaimanawa born in captivity to a wild mare. I found him in the dealer’s yard, unbroken and struggling with a number of issues. After a little TLC, some patience and lots of training he soon showed how much jumping talent he had. 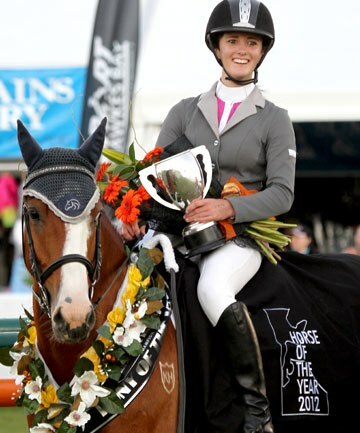 Our good friend Tegan Newman partnered with him and went on to win some amazing competitions, including Pony of the Year. Being invited to view the Kaimanawas in the wild opened my eyes to the reality that these horses were being slaughtered in our own backyard. My sisters and I were lucky enough to witness the muster in person. We saw these wild, majestic and free horses run from their homeland into the sorting yards, and turn into screaming, stressed horses whose families were being torn apart. One stallion stood out among them all and caught my eye. He was old, majestic and proud. Dreadlocks almost to his knees, scars covering most of his body. He was the one that stood still, didn’t fight or scream after his family but quietly watched and took the whole process in. Once he was separated into the slaughter pen I knew I had to do something - my heart had been captured. My sisters and I came up with a plan to help. We rehomed 11 stallions and mares that year, including the 18 year old stallion, ‘Major’. We rehomed 14 Kaimanawas the following muster, and we’ve been involved in every muster since. The 2016 and 2018 musters saw every sound horse rehomed which is really exciting. To me, taking a wild Kaimanawa from their homeland and putting them into captivity is heartbreaking. 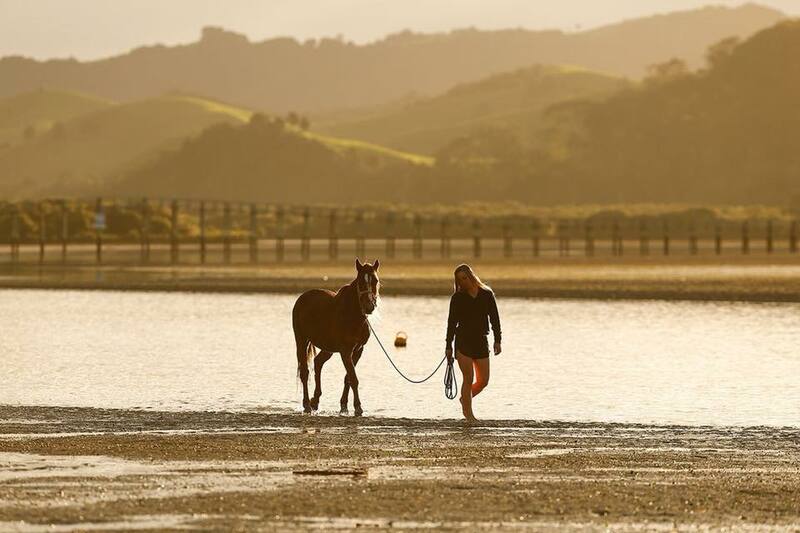 From galloping free on the most beautiful plains in the world, frolicking in the meadows, splashing in the rivers and hiding in our native New Zealand bush, they have the best life a horse could have. Then we take them from the muster yards, transport them on noisy stock trucks and put them into two metre high stockyards. We’re essentially taking them from freedom and putting them into prison. Overnight they turn dull, shut down and become just shadows of their former selves. My philosophy is always to return them to freedom as soon as I can. I take them on adventures around the farm, the bush, the river and trips to the beach. The goal is to give these horses a sense of purpose, the opportunity to grow and to learn. Initially they are guarded and shutdown, but once they realise there is a purpose to life, the relief is instant, and they can breathe and trust and let their guard down. I don’t want a partner that survives in life, but a horse that genuinely enjoys his life, wants to learn and walks with a spring in his step. Domesticating a wild Kaimanawa is hard work. It requires hours of patience, time, sacrifice, tears and frustration - but it is also one of the most rewarding experiences of my life. One horse might be touched on day one, another may take 24 days to get to the same point, another could take 86 days. There is no timeframe and they all must be treated as individuals. Argo was my best friend from the 2016 muster. He was the ultimate child scholar, ridden just seven days out of the wild. There is also Skipper from the 2018 muster just been, who is reserved, aggressive and protective of what he knows. Each is special and each has something to teach. Working with wild horses from around the world has been life changing and the Kaimanawas will always hold a special place in my heart.